A modern performance focused estate agent offering all the services a traditional estate agent does, but better. Our aim is to leave you with more of the sale, saving you a huge amount of money in the process and achieving a higher selling price.  Why should I choose Love Your Postcode®? Selling and buying is often seen as complicated and stressful, but with our unrivalled customer service and knowledge of the industry we will be with you every step of the way. Your property will have the very best exposure and won’t be limited to just the leading property portals. Your home will be featured in your local paper and will be part of our unique social media experience also. We do not charge anything upfront and all marketing related costs are free of charge; you never have to pay a penny upfront for anything. Why should I choose you over a local estate agent? We are modern and understand that 98% of people now begin their property search online, so this is where you need to be too. We aim to be the very best estate agent, with the most experienced and professional team behind us. You’ve only got to read our reviews to get an understanding how well we perform. Our office opening hours are 7am-7pm and the viewings office is open 24 hours a day. There will also be an agent on hand out of hours should you require assistance. 98% of people now begin their property search online, so this is where you need to be. We aim to be the very best estate agent, with the most experienced and professional team of agents behind us. You’ve only got to read our reviews to get an understanding how well we perform. Where will my property be seen? We will expose your property to up to 180 million property searches per month. Your listing will be shown on a huge number of sites, papers and portals. How do your packages differ? The only difference is the costs. You can choose between two different packages. We only ever charge you at the end of a sale. We don’t believe in charging anything upfront. Can I see your independent reviews? There are over 500 independent client reviews on online. Does a floor plan really mattter? It’s provided for free and it certainly does. Statistics have proved that people searching on listings with a floor plan spend 35% longer on that listing than one without. So the longer we can get people looking at your listing, the better for you. How soon can you list my property? Most property listing are live within seven working days. Why do you suggest using your panel of conveyancers? We have hand picked a selection of conveyancers that work with us to ensure your sale/purchase is as seamless and stress-free as possible. * We can keep your buyer updated and fill them with confidence throughout the transaction period. * We provide you with a dedicated progression team at loveyourpostcode.com that have direct access to your personal conveyancer. * We don’t have to ask you to chase your own conveyancers on a daily basis as some solicitors/conveyancers will not speak to estate agents. You can sit back and let us do the chasing. * Saves our customer valuable time, as we can cut down the time you would possibly have to wait for paperwork to be sent and phone calls to be made. * Streamline the transaction times to save you in some cases 4/6 weeks on your transaction times, this is also a financial saving on mortgage costs for some customers of loveyourpostcode.com. You will have two dedicated account managers who will conduct viewings at your home. Armed with local knowledge and a detailed understanding of your home they will be able to answer any questions a buyer may have. Here at loveyourpostcode.com we prefer block viewings, it minimises disruption to the seller. Why not visit out facebook page to see how we do it! EPC stands for Energy Performance Certificate, and it is a document that provides a rating for the energy efficiency of your home. It lasts for 10 years from the date that it was purchased. Read for more information, please read our EPC article which goes through any questions you could have about the certificate. Do you vet potential viewers before they view properties? Yes, we consider it essential that we carry out checks including their full names, numbers, addresses, financial situation and if they have a property to sell. Rest assured that only genuine potential purchasers/renters will be viewing your home. I am a landlord, will you carry out the referencing for me? Once we have found our landlords a tenant, it is vital that we carry out a full reference. Like most letting agents, we charge a fee to the tenant to do this and this fee includes their tenancy agreement. Please contact us if you wish to know more about fees. Do any hidden charges occur? Will you negotiate the offers for me? “Only weak agents negotiate”. We stand by this. We achieve asking price or above in 99.1% of sales. Our dedicated teams ensure that, unlike other agents, you achieve the best price. Generally speaking it is much easier to find somewhere to move to, than to sell your property. We would suggest you put your property on the market well in advance of looking for the next one, purely because of timescales. You don’t have to accept an offer on your current property before you have found a new one, and can also ask a potential buyer for time to find one before you move out. We can help with this and will be on hand to offer any assistance. How much do you charge for a private consultation? It’s free of charge. Just call in and make an appointment. Is now a good time to begin buying investment property again? We are currently in a very buoyant market with 4 out of every 5 homes coming on the market with us selling within 3 weeks. This makes it difficult to pick up great deals as there at least 9 people chasing every property. We believe we are set to enjoy a good market for the short to medium term and there is plenty of property for investors to choose from. If you are looking at buying for the long term then now is a good time to find some good deals. Speak with our specialist team that sources homes for investment purposes only. You can find further advice in our blog. How long will it take to complete my sale? Every sale is different and is dependant on both the buyer’s and seller’s position. If your home has been realistically valued, you should expect to receive offers within the first three weeks. If the buyer requires a mortgage the exchange of contracts normally takes between 4 and 6 weeks and then completion is between 2 and 4 weeks later. Our sales progression team will look after this for you to ensure this moves smoothly. Do I need to decorate before I put my house on the market? It is not essential to do so as typically new purchasers will be looking to put their own stamp on the property once they move in. If you feel an area may need a lick of paint to give a fresher feel this may be a small cost worth making.